It was a steamy, high allergy forecast kinda Saturday in Austin, but this happy couple had a lovely wedding at the scenic Paggi House. Megan and Jon had to plan their wedding from afar but with tons of help from family and friends, it all came together nicely. 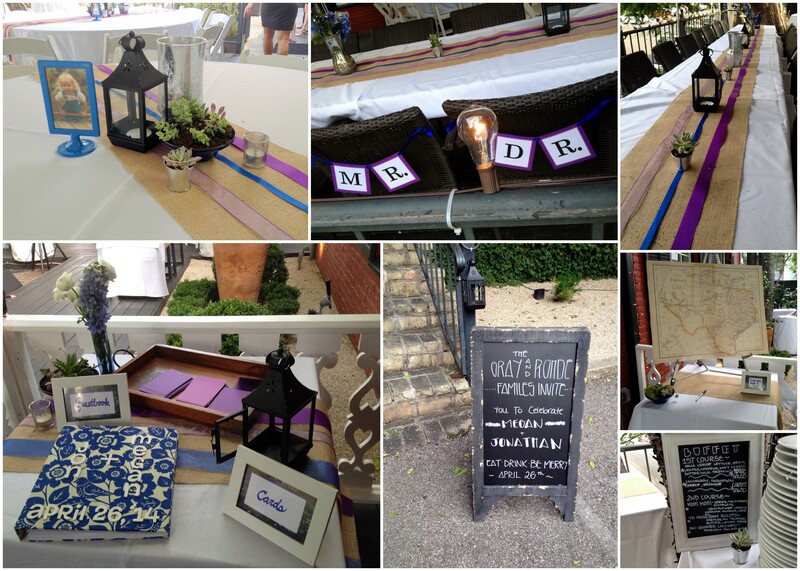 The theme was rustic romantic with the colors of blue, shades of purple, and white. This wedding definitely had more details and decor than any other wedding I’ve DOCed, but with the help of the Paggi House staff, it went pretty smoothly. Prior to the wedding, we had three meetings including two walk-throughs and a craft night where I helped with the timeline, layout, assignments, boutonnieres, and identifying any gaps. On the day-of, the ceremony site of Queen of the Angels Chapel had their own coordinator so I focused on the reception. At Paggi House, I set up/took down centerpieces, the guestbook/gifts table, and the pies/dessert room (the delicious smell of the pies from the Texas Pie Company was quite distracting while the Grooms whiskey bottle cake from Blue Note Bakery was just amazing); coordinated with the vendors; helped serve ice cream; and ensured the wedding followed the timeline. 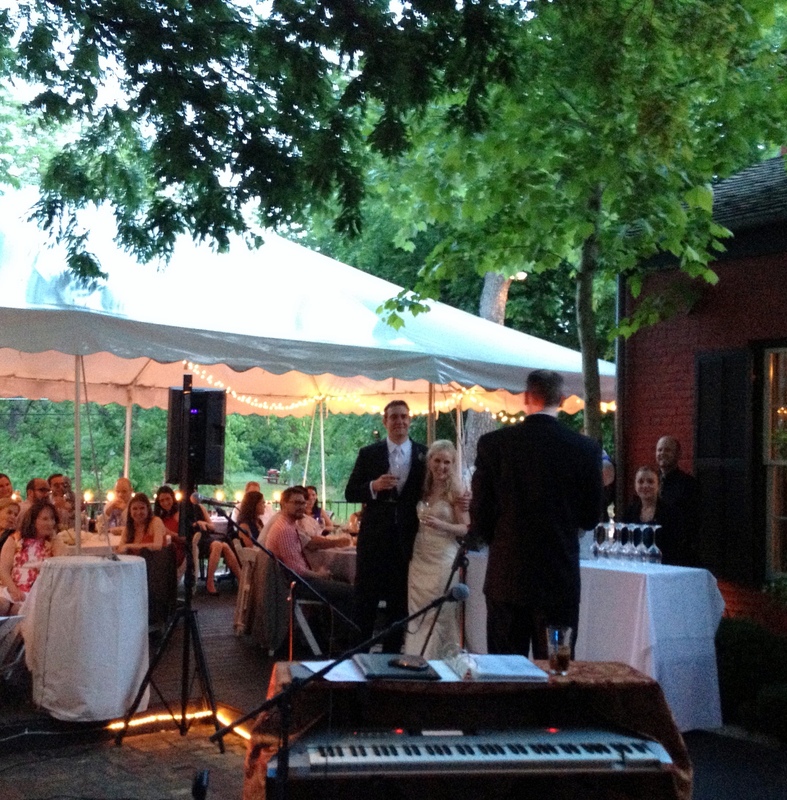 It also helped that Megan and Jon’s family and friends are such a fun and helpful group. 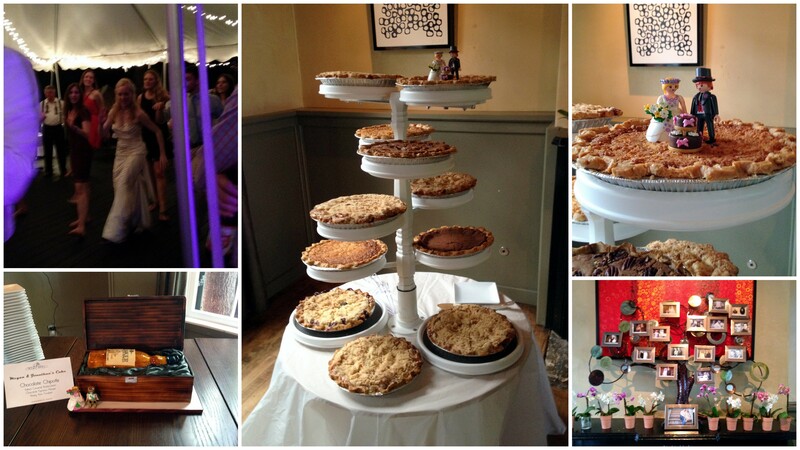 This entry was posted in Weddings and tagged Austin wedding, DIY wedding decor, DOC, Paggi House, Pies. Bookmark the permalink. Great job on the DOC! You’re amazing at what you do!